Imagine having a condition that causes your head or entire body to shake uncontrollably. That’s what happens in some our dog friends. This problem called tremor syndrome is not uncommon, so I wanted to dedicate some time to explaining the condition. I hope you find the information interesting and shareworthy. Happy reading! Tremor Syndrome – What is it? The brain and the spinal cord are enclosed by a tri-layer of membranes called the meninges. The three layers of the meninges are the dura mater, arachnoid, and pia mater. The meninges may become inflamed for a variety of reasons. When this happens, one possible result is tremors affecting the head or the entire body. Illustration showing the three (3) layers of the meninges. Image courtesy of Daily Dog Discoveries. Tremor syndrome may affect any breed of dog. 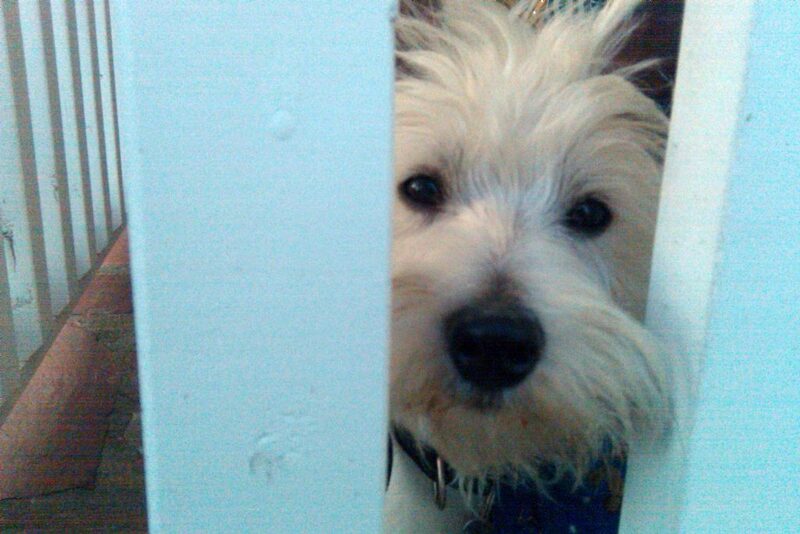 Most commonly, however, tremor syndrome affects small breed dogs with white coats, including Malteses, West Highland white terriers, and poodles. 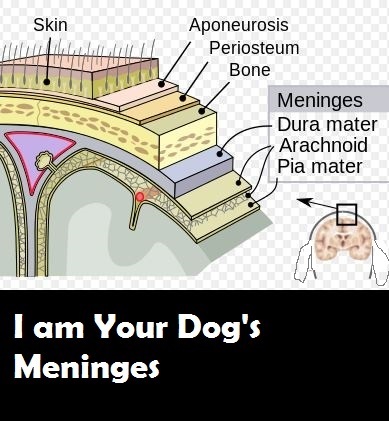 For this reason, tremor syndrome is often called “little white shaker syndrome.” To date, veterinarians do not fully understand what triggers inflammation of the meninges (called meningitis), but an immune-mediated etiology is strongly suspected. Tremor Syndrome – What does it look like? Dogs living with tremor syndrome often look like they’re shivering. The tremors are often described as fine shaking movements of the head or entire body. While absent when a dog is sleeping, tremors are often exacerbated with excitation. Other neurologic signs, including abnormal eye movements and seizures, may be seen but are considered rare. Tremor Syndrome – How is it diagnosed? Tremor Syndrome – How is it treated? The mainstay intervention for tremor syndrome is administration of a corticosteroid. This class of medication provides anti-inflammatory and immune system modulatory benefits. Most patients positively respond to therapy within a few days to a few weeks. Once clinical signs have been absent for at least one month, a veterinarian will recommend a regime for slowly weaning the corticosteroid. Thankfully, the prognosis is generally good. However, clinical signs can return with weaning and discontinuation of corticosteroids in some dogs. Thus, some patients need lifelong therapy. Head or whole-body tremors in dogs can result from inflammation of the meninges – this constellation of clinical signs is called tremor syndrome. A thorough diagnostic investigation is needed to rule out other potential causes of a dog’s clinical signs. While corticosteroid therapy, tremors resolve in a majority of patients who go on to have high quality lives.